Head coach Wilmer Cabrera of the Houston Dynamo at practice at HEB Park on Thursday, Feb. 1, 2018, in Edinburg. EDINBURG — The Houston Dynamo had just one open dinner during their five-day training camp in the Valley this week, and the players who had previously spent time with the RGV FC Toros knew exactly how they wanted to spend it. A group of about 12 Dynamo players descended on La Taquiza in Edinburg, culminating a plan they first started putting into motion last week. 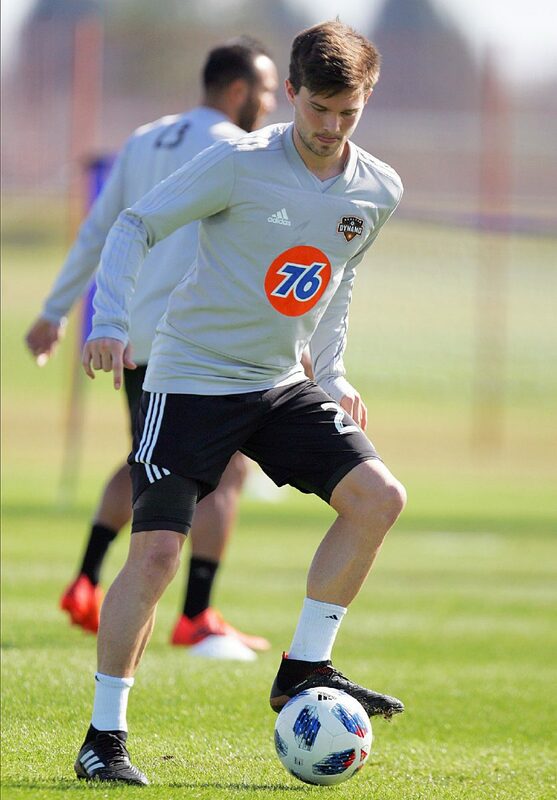 Eric Bird (25) of the Houston Dynamo at practice at HEB Park on Thursday, Feb. 1, 2018, in Edinburg. George Malki (21) of the Houston Dynamo at practice at HEB Park on Thursday, Feb. 1, 2018, in Edinburg. Kevin Garcia (16) of the Houston Dynamo at practice at HEB Park on Thursday, Feb. 1, 2018, in Edinburg. Malki and Garcia are among a group of former Toros players making their return to the Valley this week as members of the Dynamo. Houston held training sessions Tuesday, Thursday and Friday at RGV’s facility, faced the UTRGV men’s team on Wednesday night and closes out its visit with an exhibition matchup against RGV FC at 6 tonight in H-E-B Park. Charlie Ward, Memo Rodriguez and Eric Bird are also among the group of former Toros standouts returning to the Valley after signing with the Dynamo. 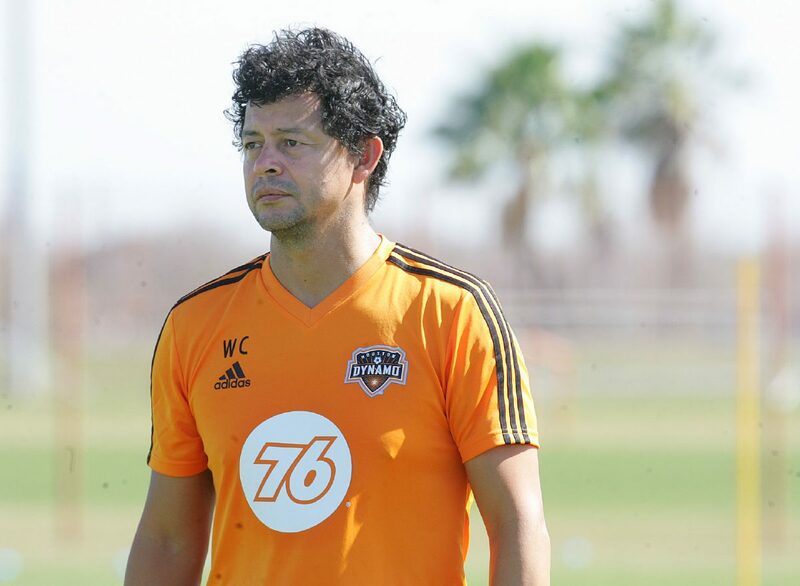 The Dynamo’s coach, Wilmer Cabrera, was RGV FC’s coach during the team’s inaugural season in 2016, leading the squad to a 14-7-9 record and a second-place finish in the USL’s western conference. He took over a Houston side that finished last in the MLS’s western conference in 2016 and led the team to a fourth-place finish and a trip to the conference finals in 2017. Bird is the latest Toros alumni to ink a first-team contract with the Dynamo, as the organization announced the deal on Dec. 22. The 24-year-old midfielder said he was out to dinner with extended family in Chattanooga, Tennessee, when he got the call from his agent. Bird, Garcia and Malki all played under Cabrera with RGV FC, and each said the experience made the jump to Houston more seamless. Bird added that the 2017 campaign with the Toros helped him adjust to what he called “the weight of the season.” Bird started 29 matches last year, ranking second on RGV FC with 2,552 minutes played. Garcia said his goal in training camp has been to prove he can contribute on the first-team level in the wake of an ACL injury to starting right back A.J. DeLaGarza, who is expected to miss at least the first two months of the season. Malki will also be fighting for that spot after sitting out the entire 2017 season due to an ACL tear of his own, suffered during a practice March 15. 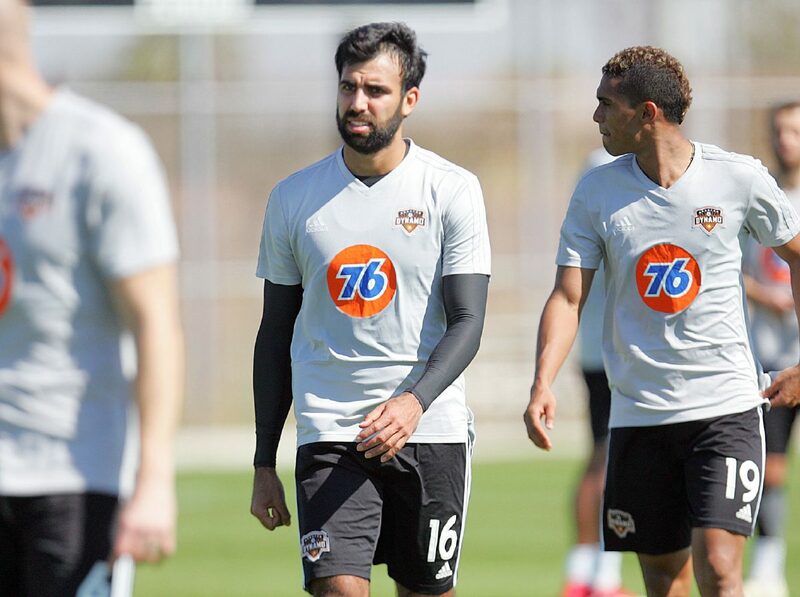 Thursday’s training marked the first time the Dynamo used RGV FC’s practice field behind H-E-B Park during their visit, meaning it was Malki’s first time stepping on that grass since enduring the ACL tear on the same pitch. Though Malki and Cabrera are not new to the Valley, tonight’s game will mark the first time either has competed inside the H-E-B Park stadium. The venue was not complete until the start of the 2017 season — after Cabrera and Malki had both moved on to Houston.